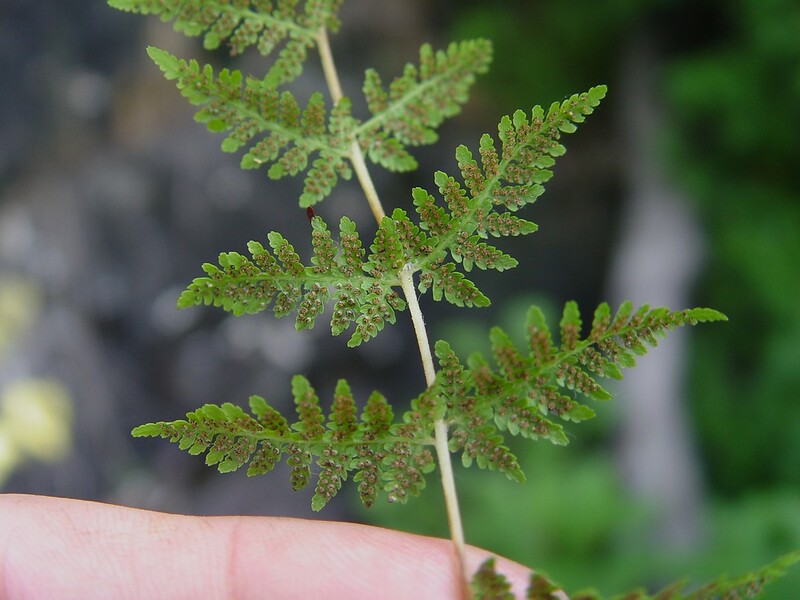 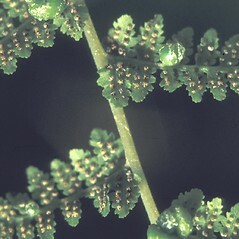 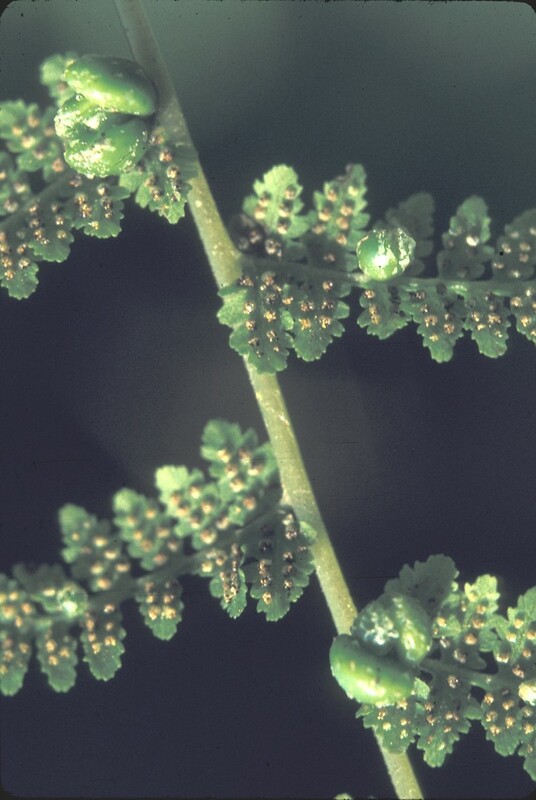 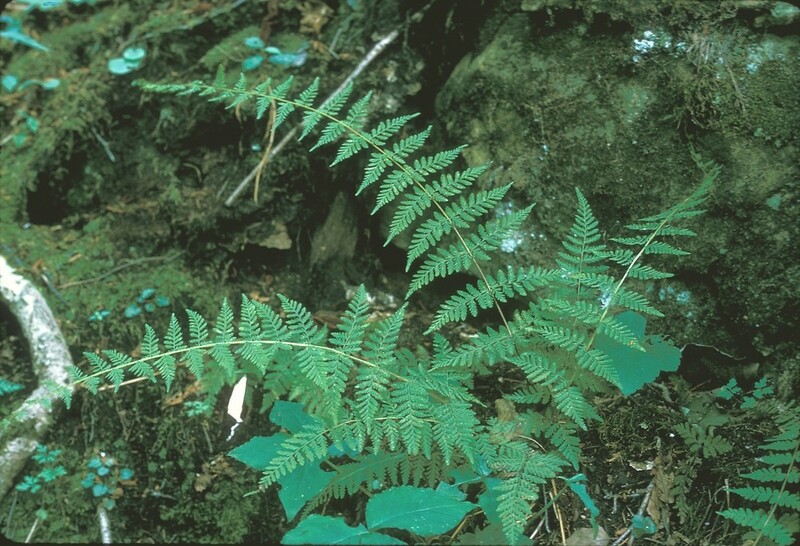 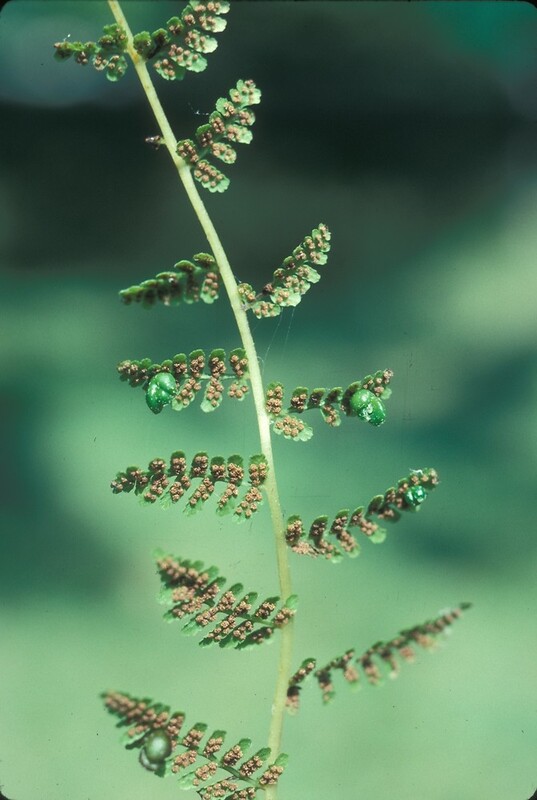 Bulblet fragile fern is gets its name from, and can be distinguished by, the small, green bulblets that form on the underside of the pinnae (leaflets). 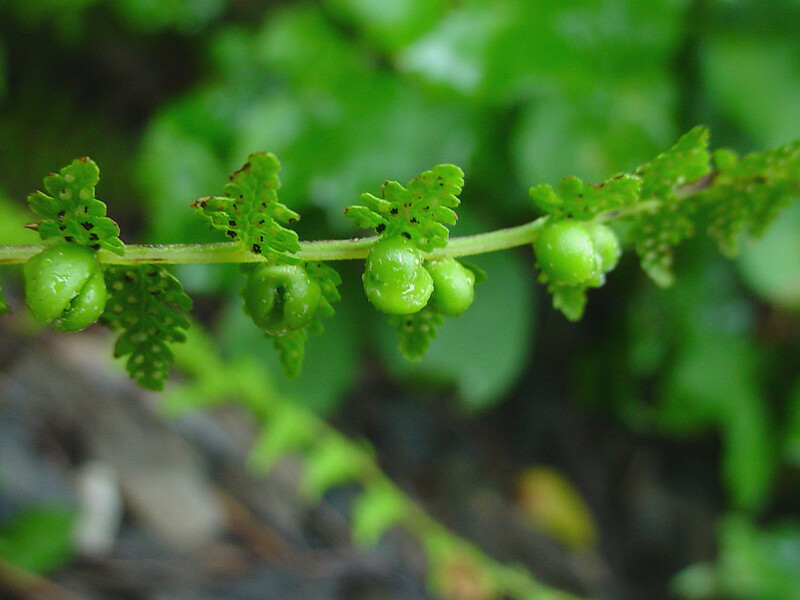 They can drop off the plant and germinate to form a new plant. 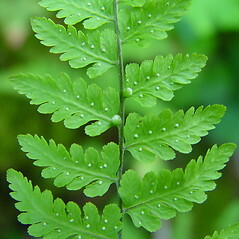 leaf blade ovate to narrow-ovate, bulbils only rarely present, and leaf rachis with sparse glandular hairs (vs. C. bulbifiera, with leaf blade triangular to long-triangular, bulbils frequently present, and leaf rachis usually with dense glandular hairs). 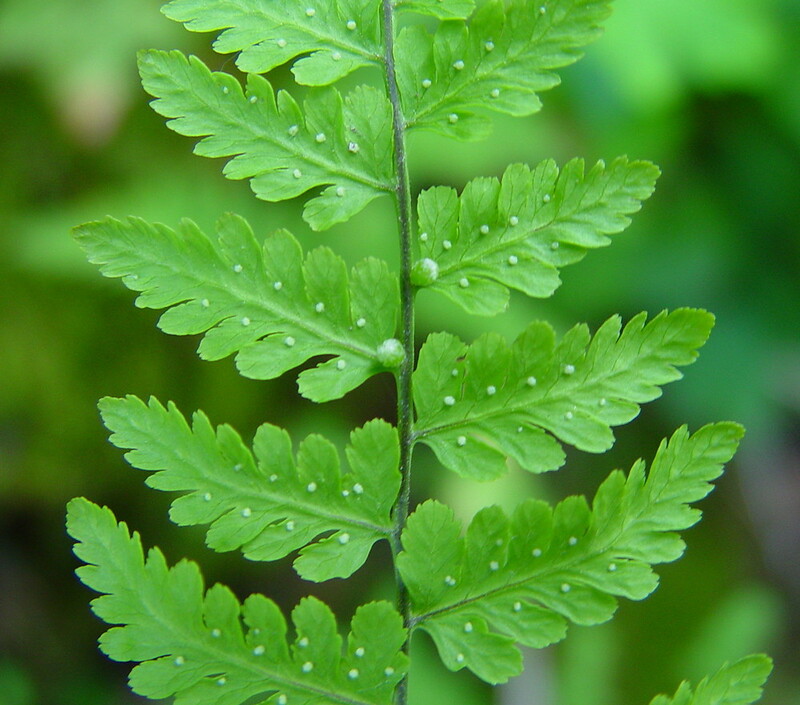 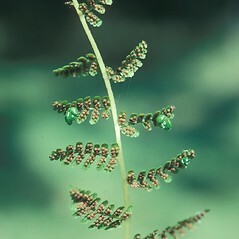 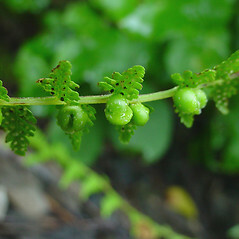 bulbil fragile fern. 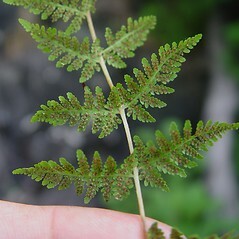 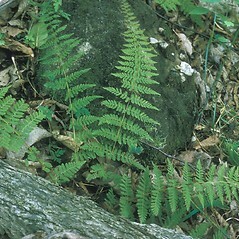 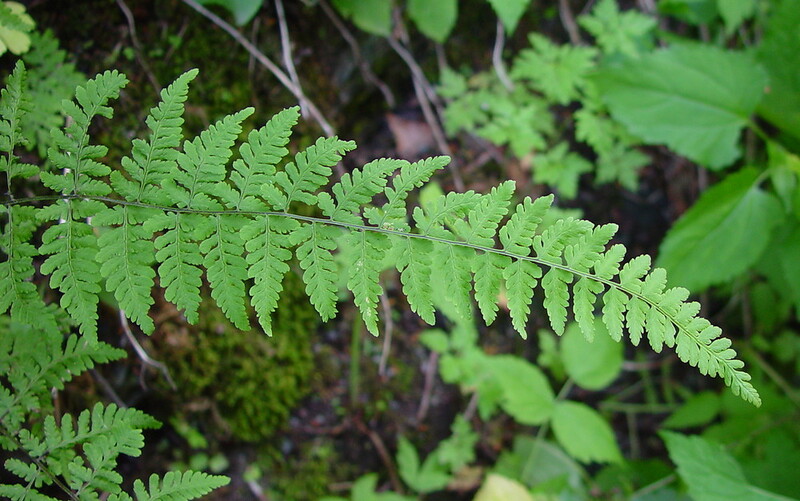 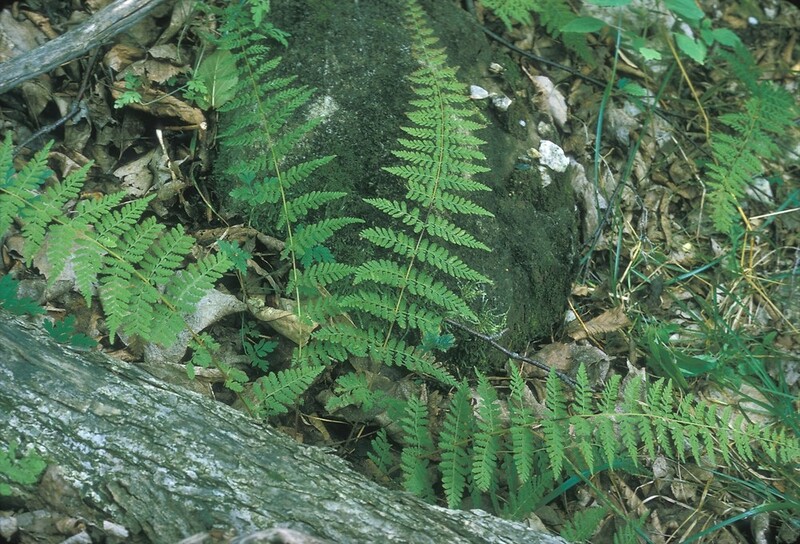 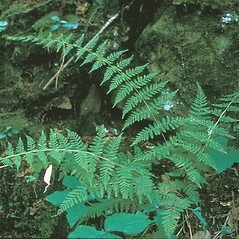 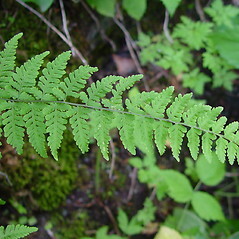 Filix bulbifera (L.) Underwood; Polypodium bulbiferum L. • CT, MA, ME, NH, RI, VT. On rock or thin soil over high-pH substrate.